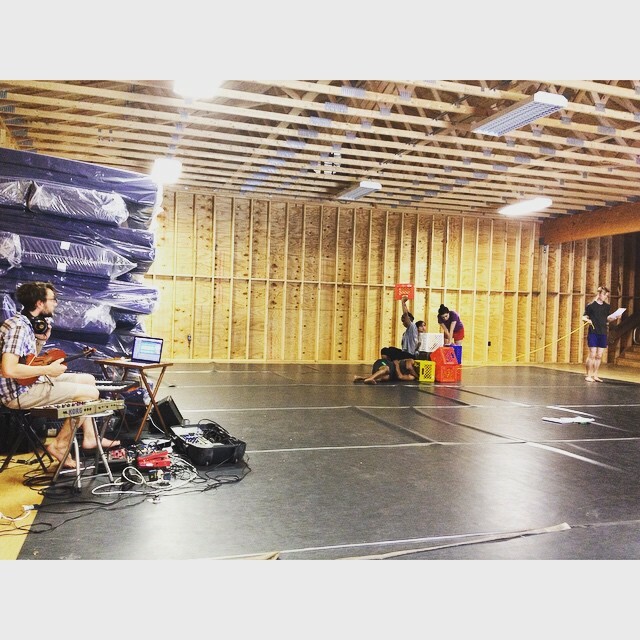 We spent a week in June 2015 at the Fantastic NJY Campsite in Milford Pennsylvania before we presented Work In Progress at the fantastic Dixon Place. And whilst we were there, we learned that we'd been shortlisted (out of a 1000 submissions) to be interviewed for the Kevin Spacey Foundation Artist of Choice Awards!! 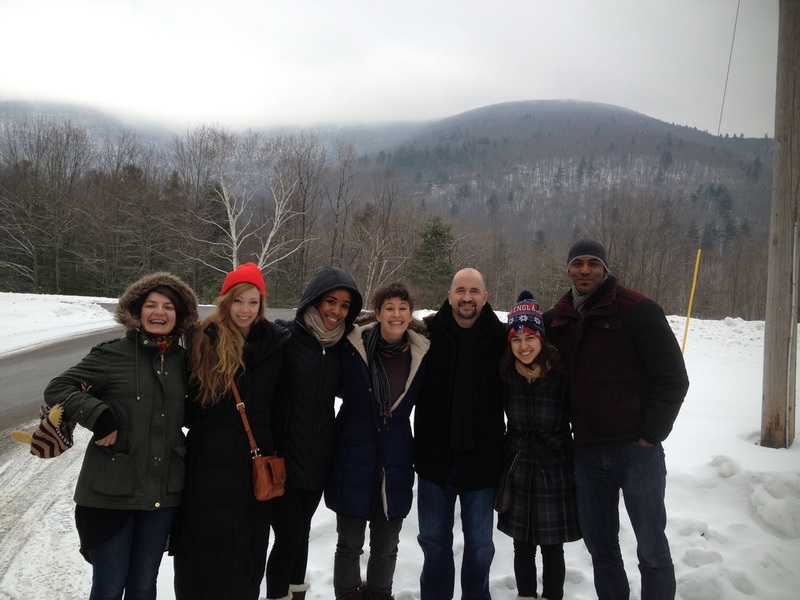 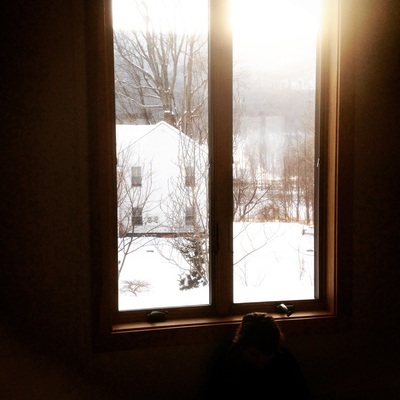 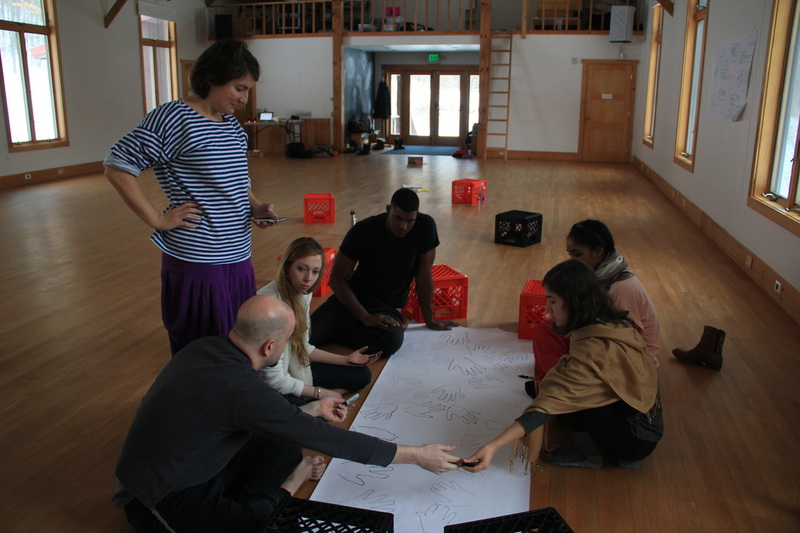 We spent a beautiful week in Woodstock creating the first sections of the piece. 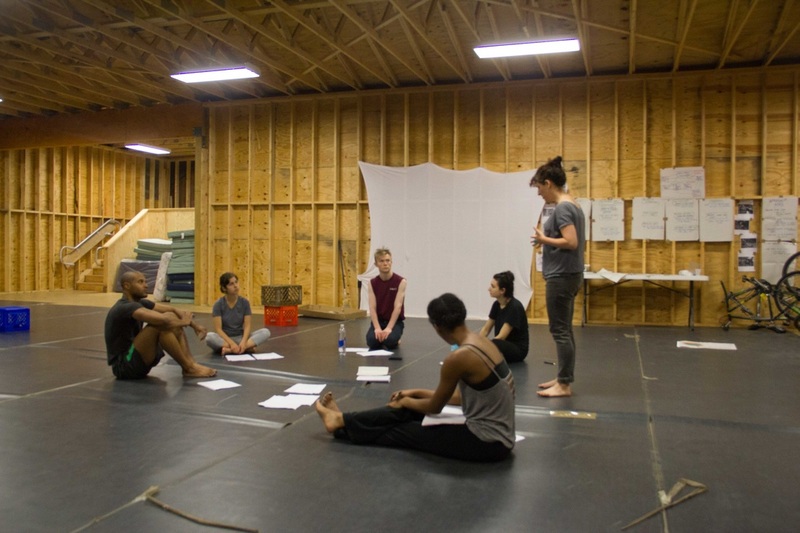 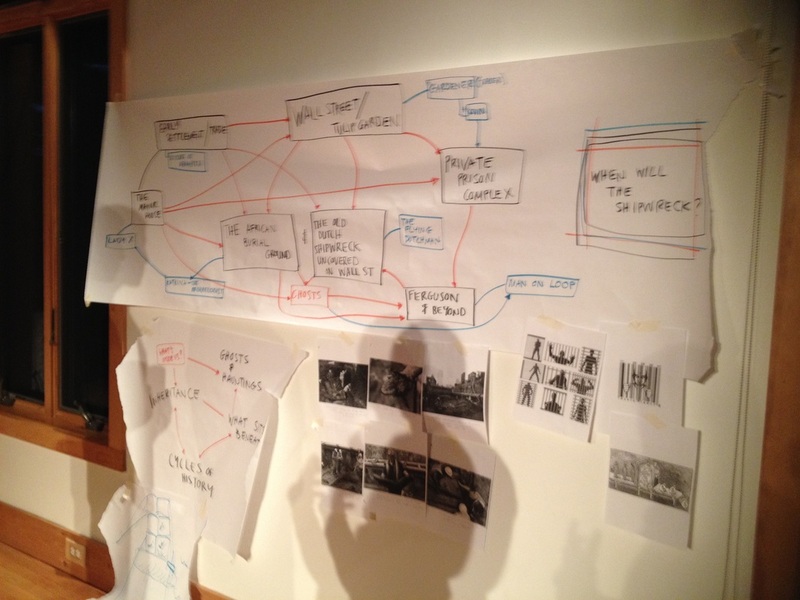 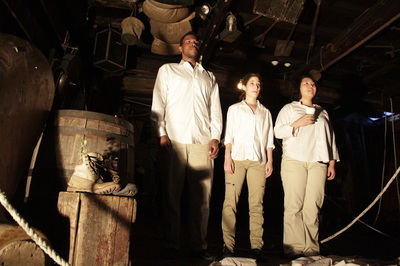 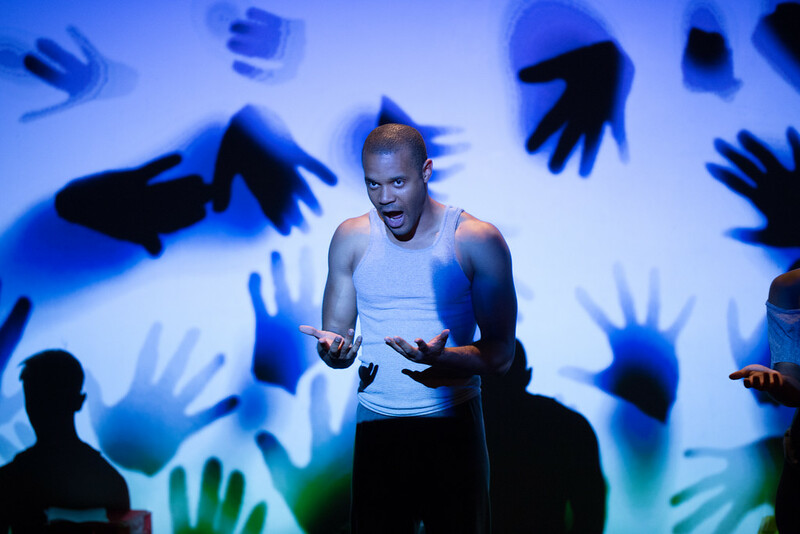 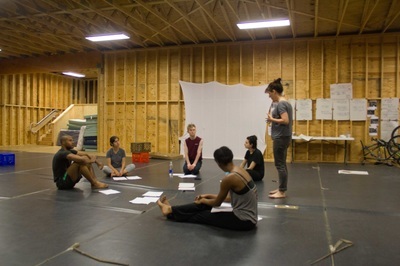 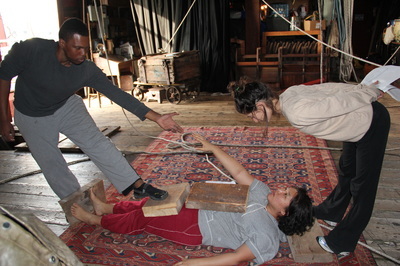 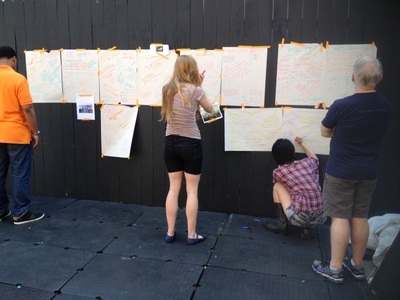 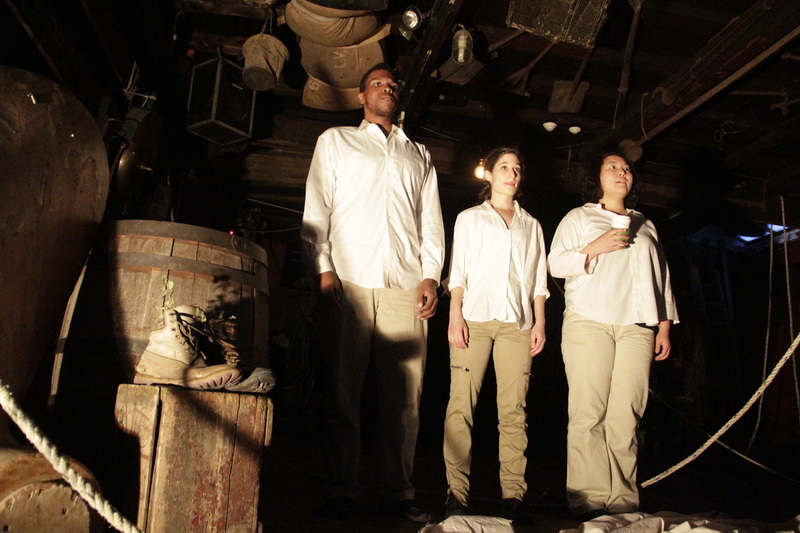 In September/October 2014, I assembled a group of actors to meet me in Bushwick, Brooklyn in a basement to begin picking up on some of the workshop ideas from 2011. 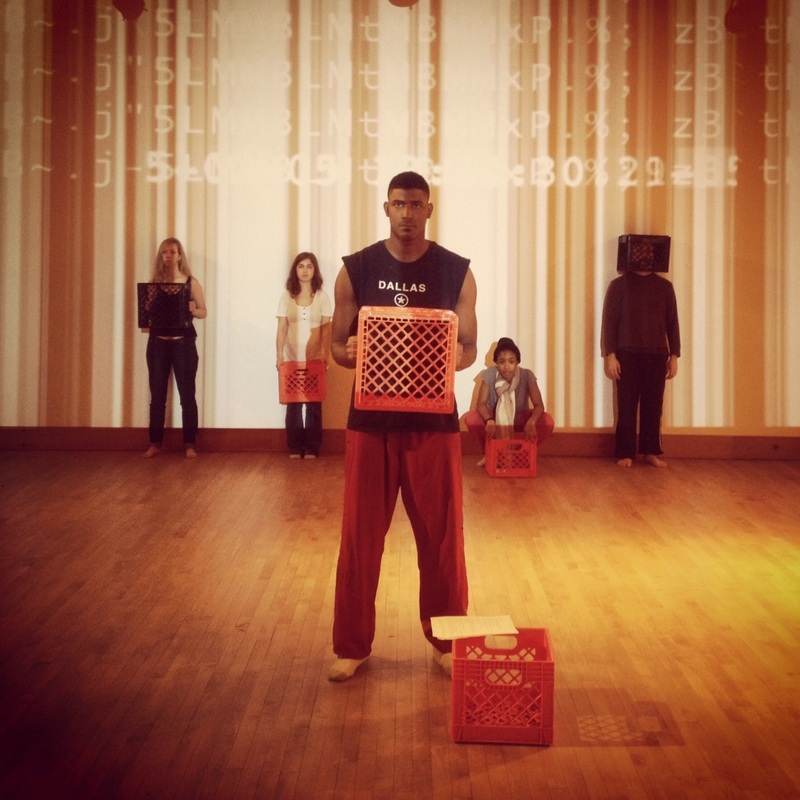 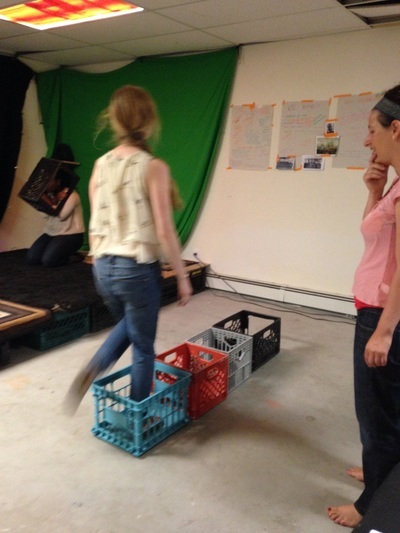 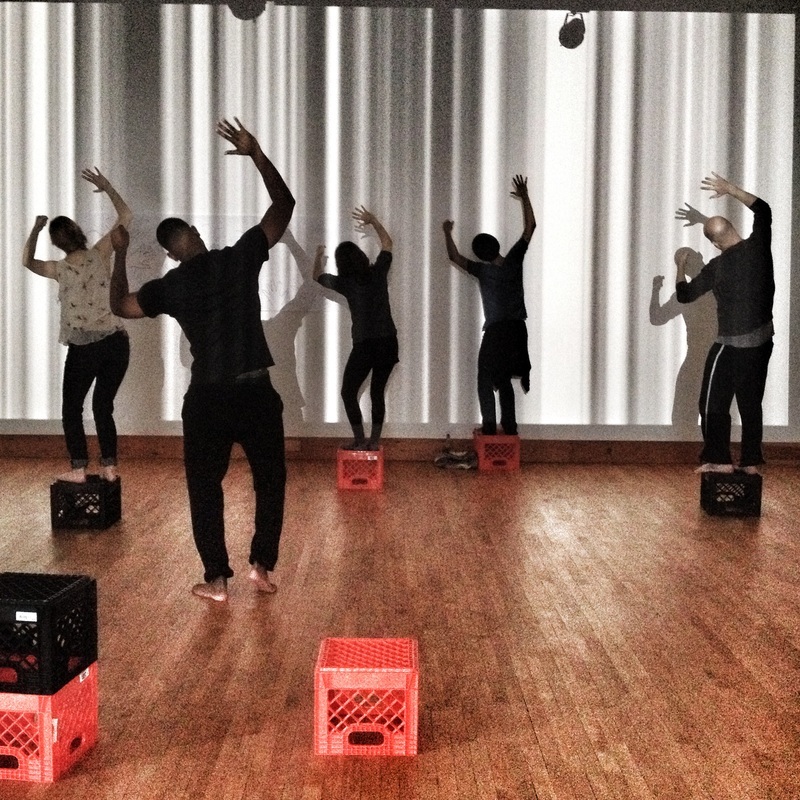 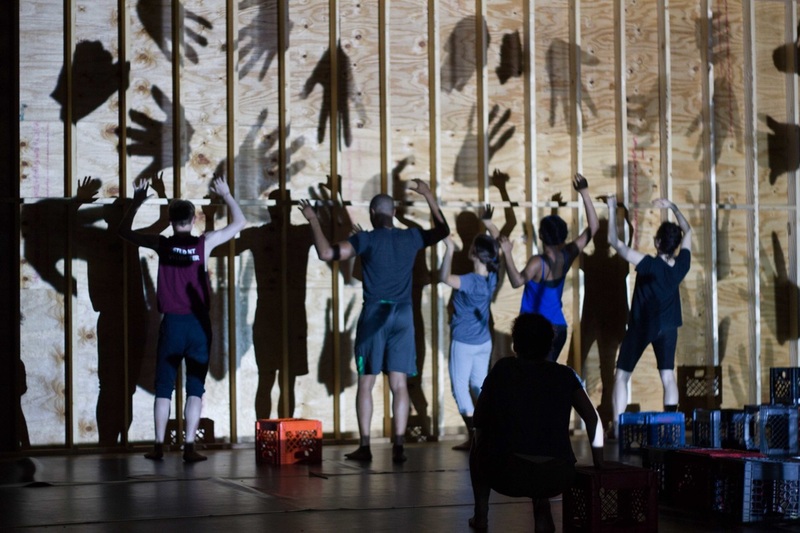 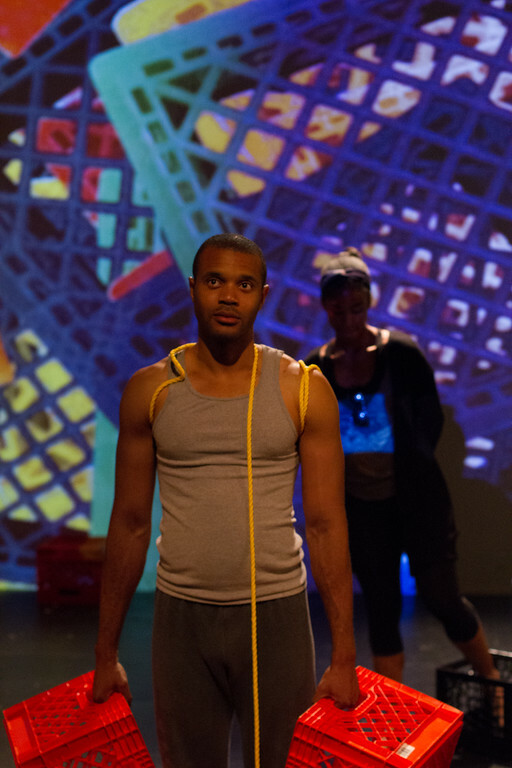 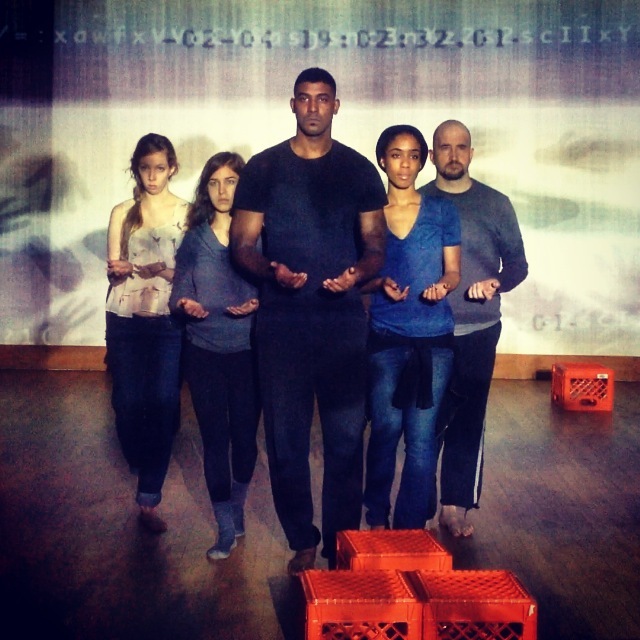 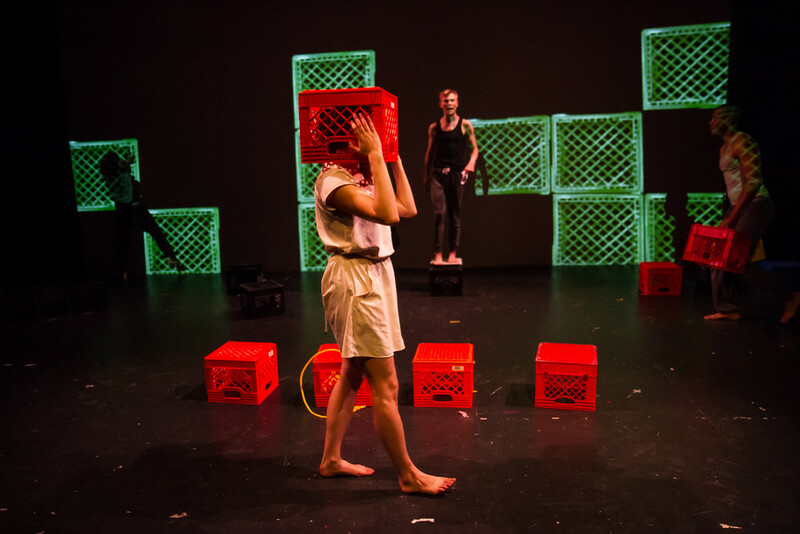 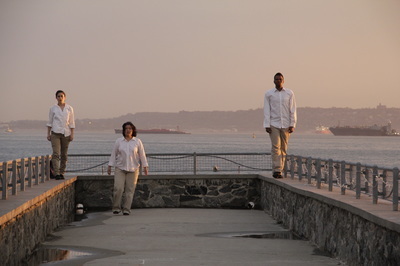 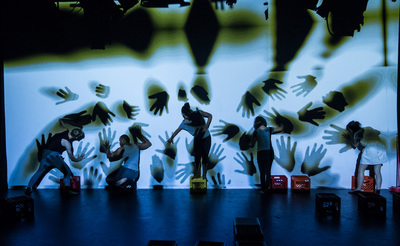 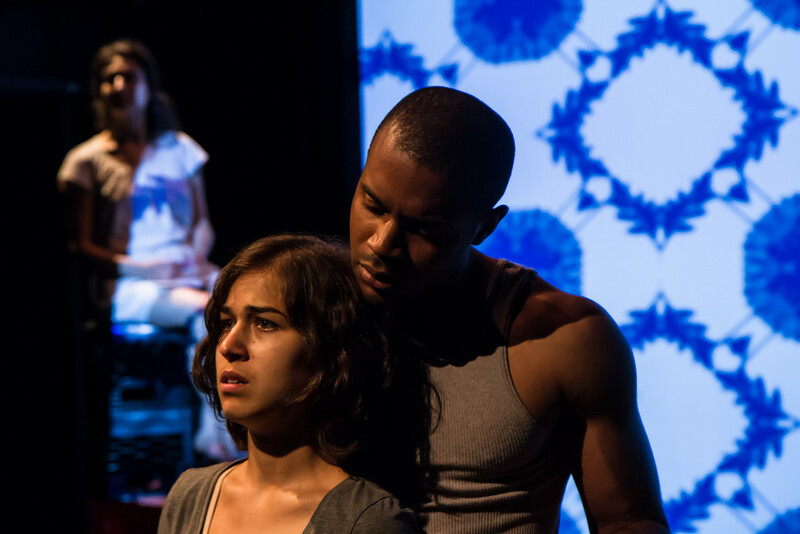 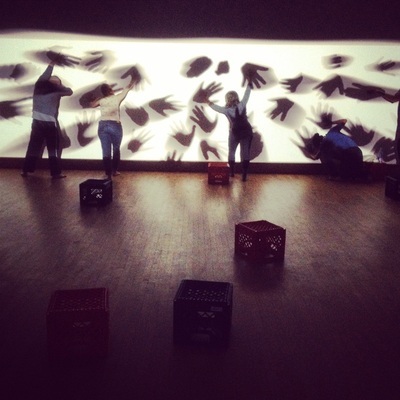 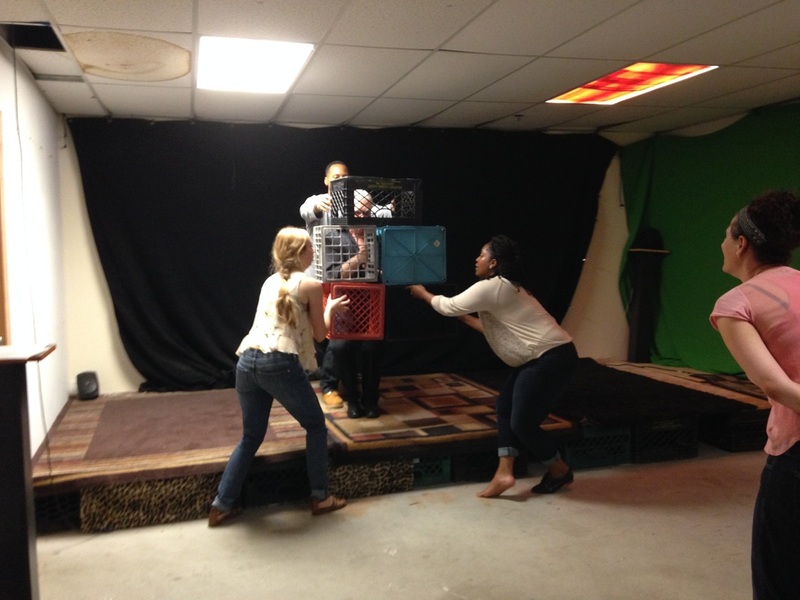 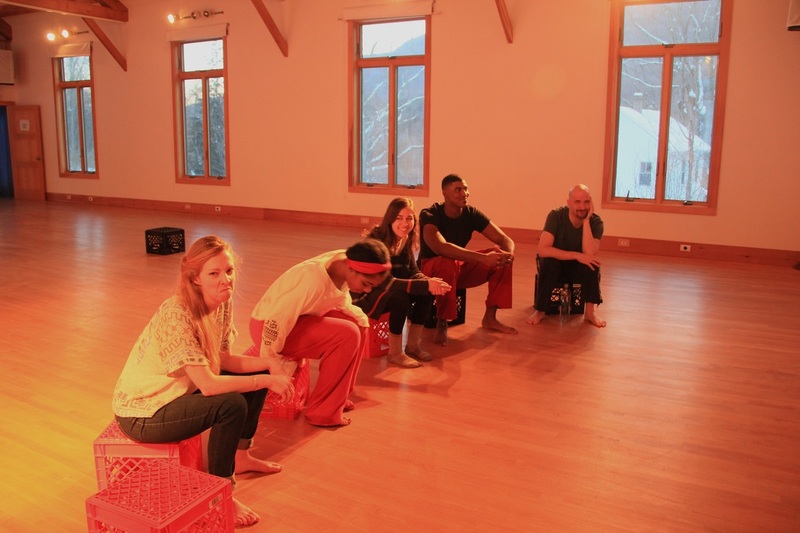 We played with milk crates (that were there) and began thinking about the worlds of the piece. 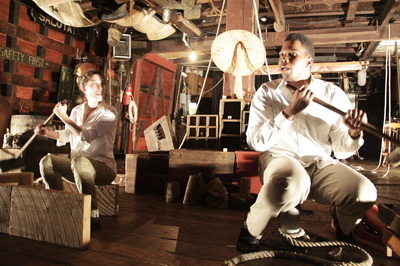 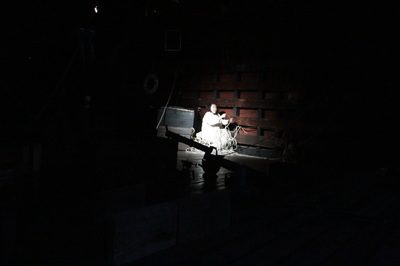 WORKSHOP PERFORMANCE ABOARD THE WATERFRONT MUSEUM BARGE. 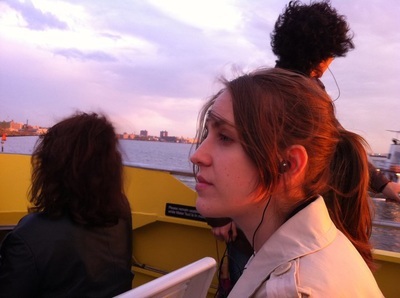 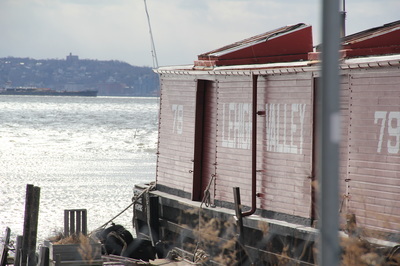 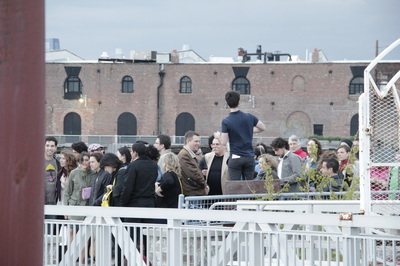 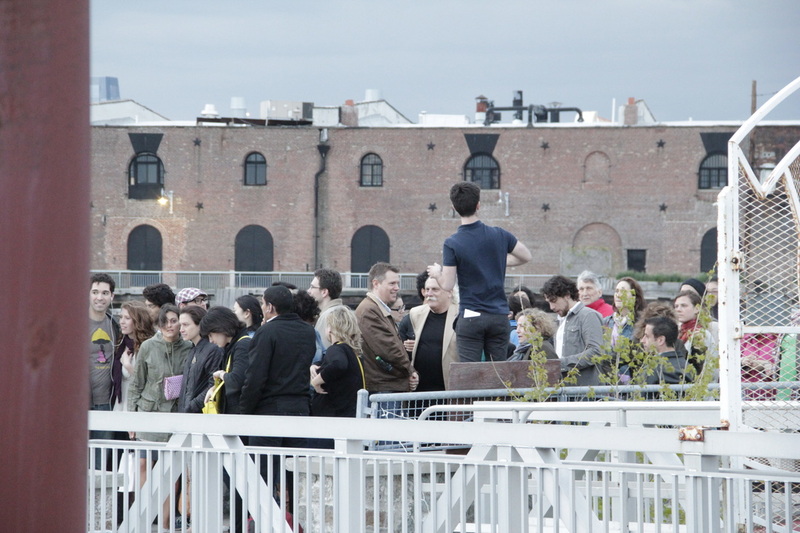 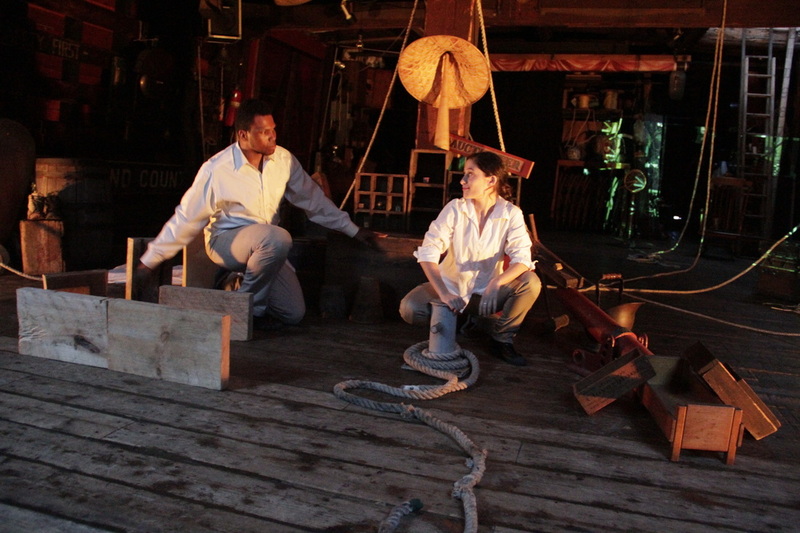 In 2011, as part of an independent study whilst still at Columbia University, I spent eight weeks with Jeri Silverman, Hye Yun Park and Corey Allen, creating the first images of the work on David Sharpe's Waterfront Museum Barge. We performed the workshop to our friends and peers.